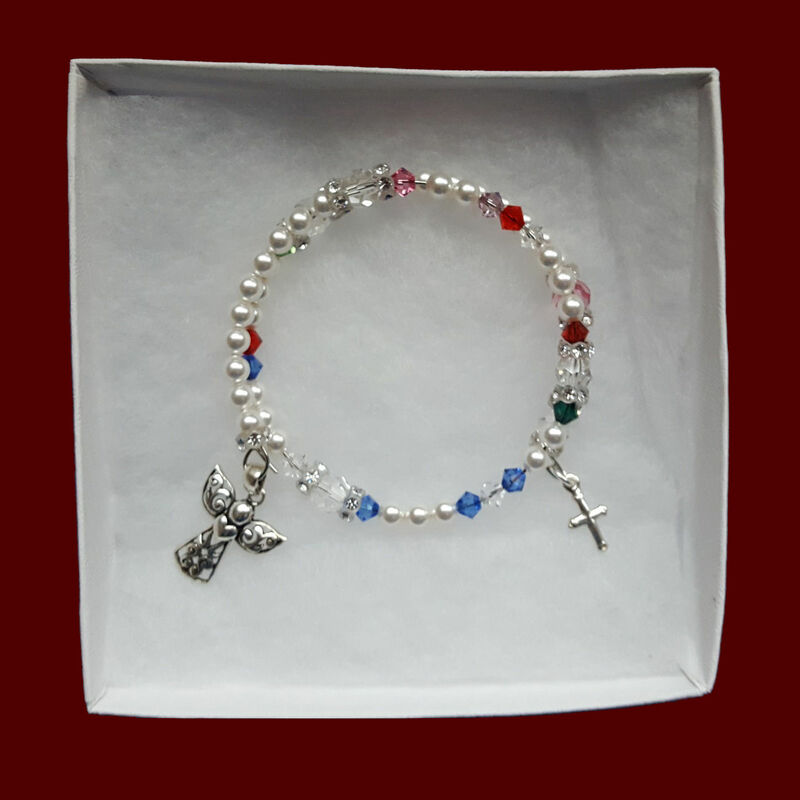 Genuine Swarovski birthstone crystals make up this exquisite family rosary bracelet featuring the 5 decades of the rosary, beginning with the Glory Be to the Father, Hail Mary and Our Father along with a cross and heart charm. 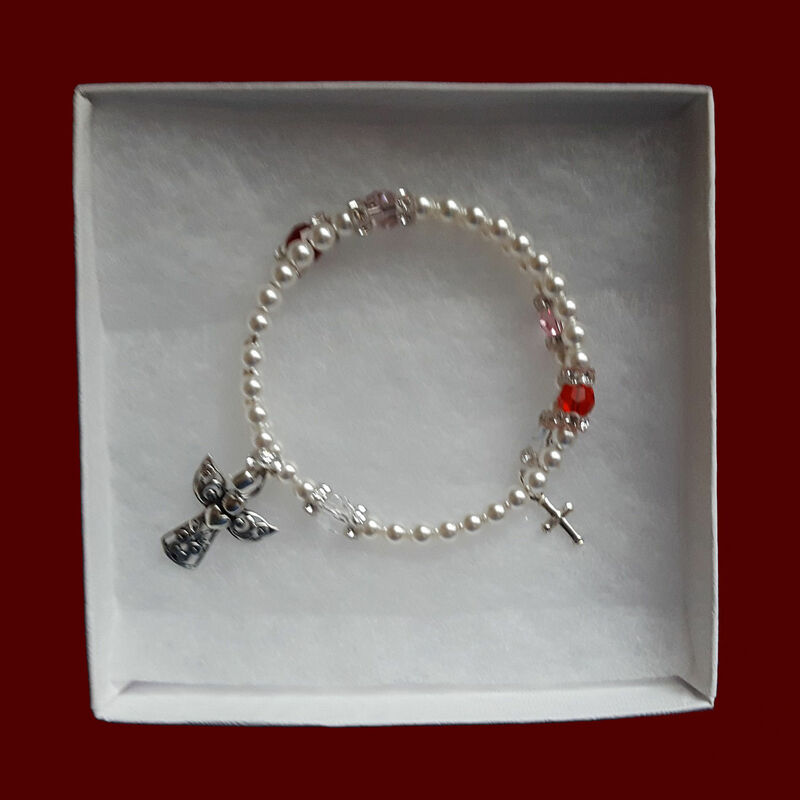 Also now available with shamrock or claddagh charm in place of heart & Celtic cross or guardian angel charm in place of the silver cross ~ please state your choice under special requests and add ALL birthstone crystals needed (state whether children/grandchildren etc...as there are different size crystals for each). 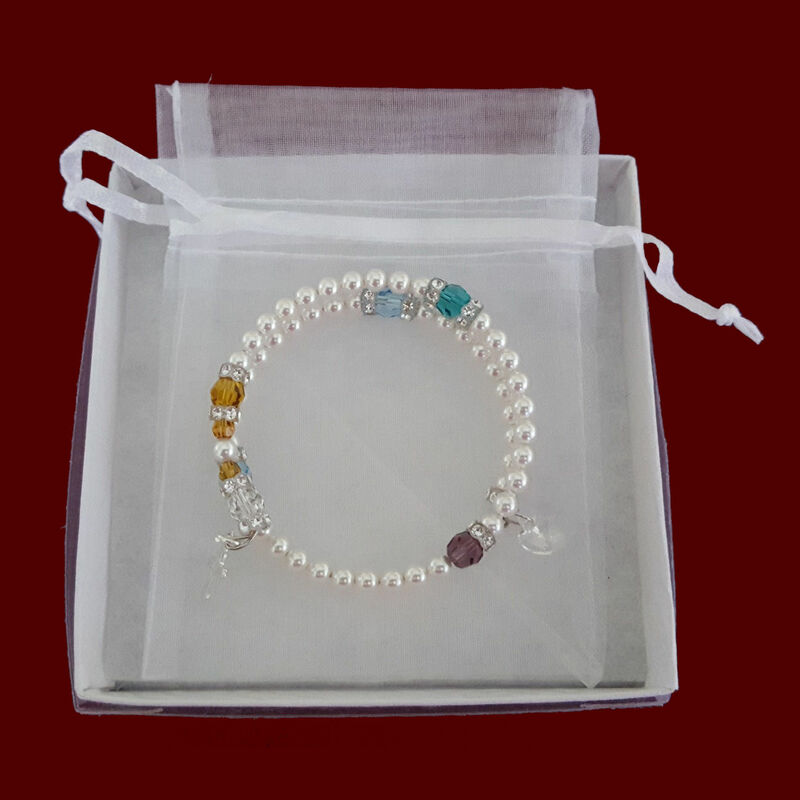 Family birthstones are added in several ways depending on how many large crystals are needed and each bracelet will be custom designed to fit your specific # of needed birthstones. For example, the main picture shown has 6 large crystals ~ one for mother, father & 4 children (signifying the Our Fathers) ~ 3 small crystals at the beginning represent 3 grandchildren. If another grandchild arrives, a pearl will be replaced with the newest member's birthstone. Should even more arrive, a new birthstone can be added, but one pearl will be removed and so on. 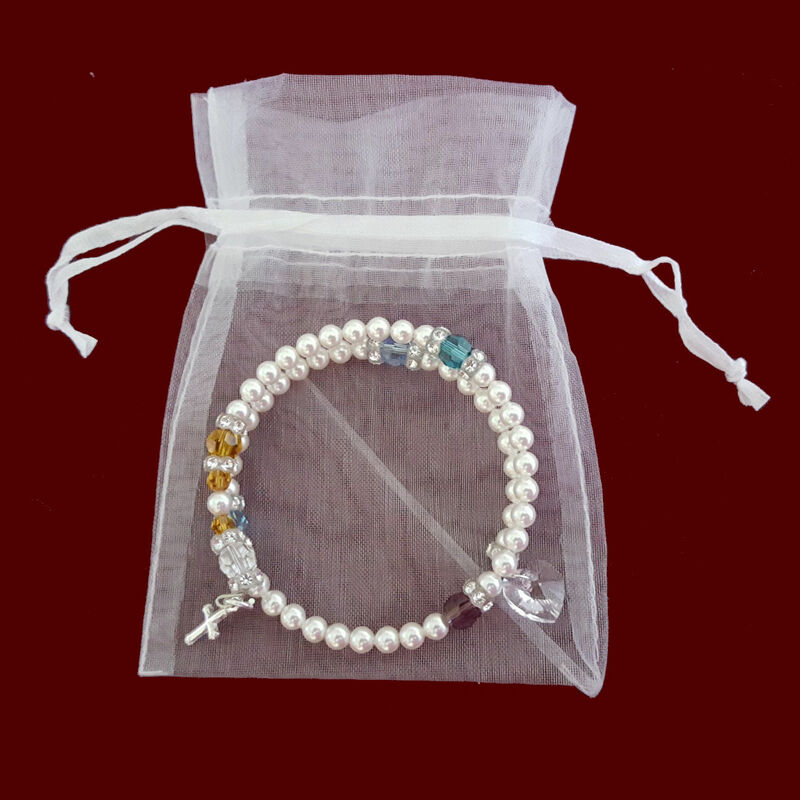 New additions will have a cost for restringing the bracelet, amount will vary depending on where the crystal/pearls need to be removed & added. 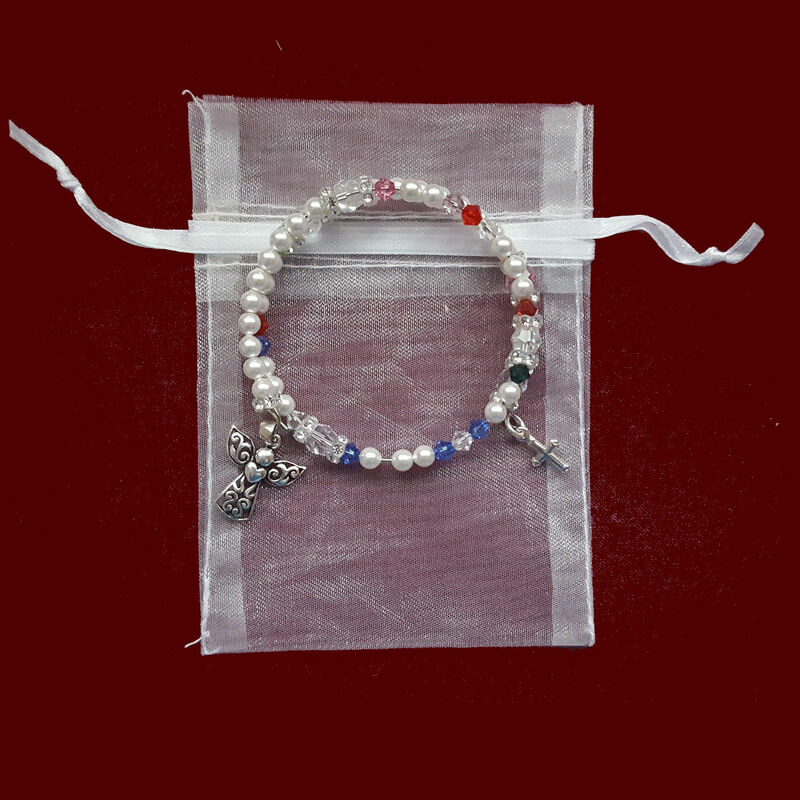 Smocked Treasures will quote you a price depending on your bracelet design. 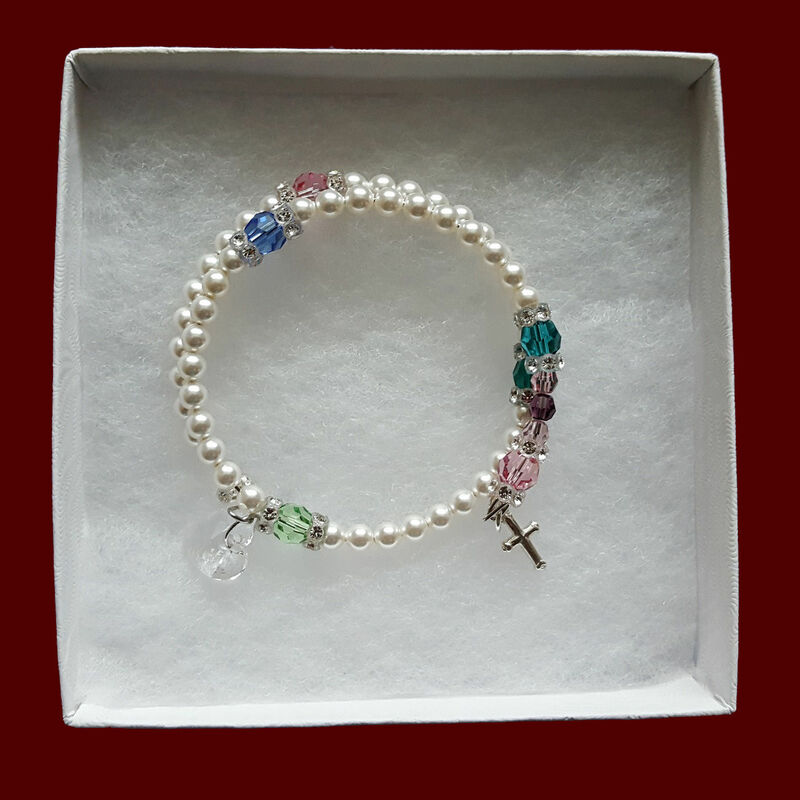 Contact Smocked Treasures if you need help envisioning your specific family birthstone design ~ we can be very creative and come up with a perfect solution to fit all of your families members! One size fits all (size can be adjusted). Gift boxed with organza bag for storage. 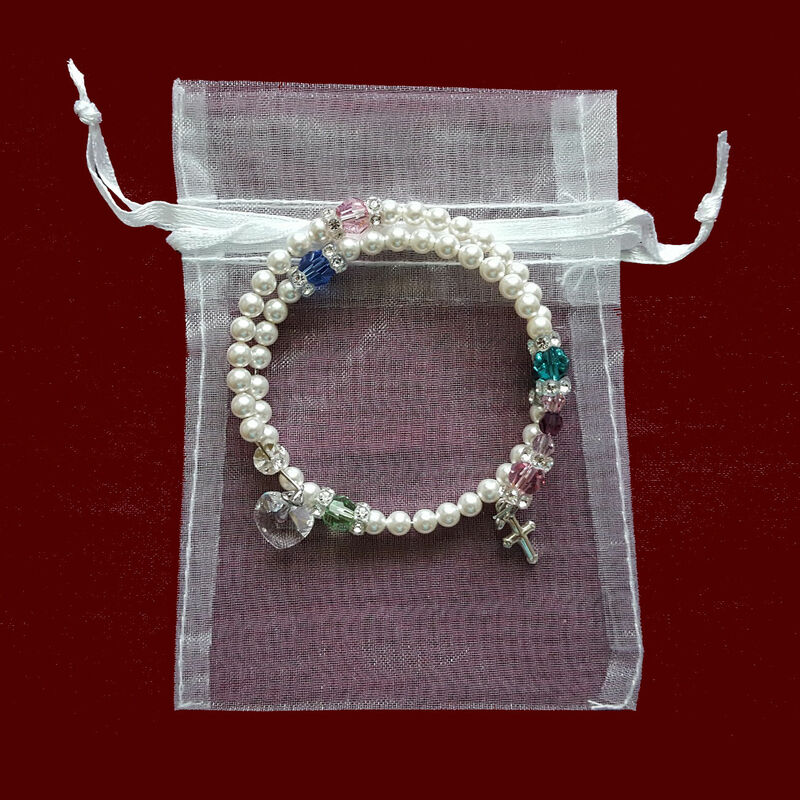 Perfect keepsake gift for Mothers & Grandmothers. Please note, cross and heart charm may vary slightly from picture shown depending on availability. **According to the new Federal Safety Standards effective August 2009, Swarovski crystals contain lead which is recommended to be worn only by ages 13+.